Nicholas Campbell is a critically acclaimed and multi-award winning actor who has played everything from handsome charismatic leading men to undercover cops to psychopaths. Born in Toronto and raised in Montreal, he went to Kingston’s Queens University to study pre-Law but switched to English and Drama. He moved to England to continue his studies, spending five years there, first at the London Drama Studio, then at the Royal Academy of Dramatic Arts (RADA). He joined the York Theatre Royal Repertory Company, where he spent 40 weeks touring the country working in small provincial theatres to gain his acting credentials. 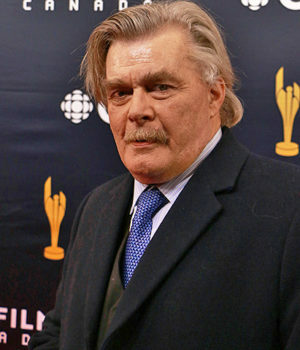 For his portrayal as Vancouver Coroner Dominic Da Vinci in Da Vinci’s Inquest, once Canada`s most popular dramatic series, Campbell was nominated for three Geminis, winning Best Performance by an Actor in a continuing leading dramatic role in 2001. In addition to acting, he is also an accomplished filmmaker. He wrote and directed the documentary Stepping Razor: Red X about the life and murder of Peter Tosh which picked up a Genie Nomination for Best Documentary and numerous honors at international film festivals, and Booze Can, a loving exploration of Toronto’s nightlife in the ’70s that includes cameo appearances by, among others, David Cronenberg. In 2009, Campbell was given an ACTRA Toronto award for his work in the mini-series, The Englishman’s Boy. 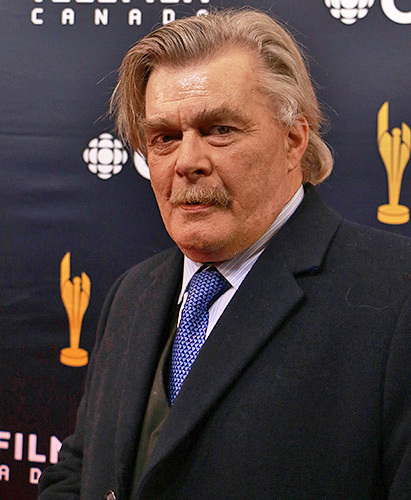 Pictured at the 2018 Canadian Screen Awards, Nicholas Campbell appeared in the theatrical production of Jerusalem, which starred Kim Coates. 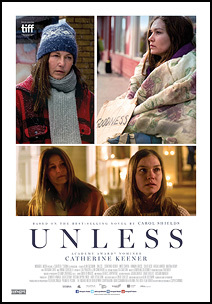 Poster for the Canada-Ireland coproduction, Unless, courtesy of Mongrel Media.